Parsl workflows are developed completely independently from their execution environment. Parsl offers an extensible configuration model through which the execution environment and communication with that environment is configured. Parsl is configured using Config object. For more information, see the Config class documentation. The following shows how the configuration can be loaded. Please note that all configuration examples below require customization for your account, allocation, Python environment, etc. The configuration provided to Parsl dictates the shape and limits of various resources to be provisioned for the workflow. Therefore it is important to carefully evaluate certain aspects of the workflow and the planned compute resources to determine an ideal configuration match. Where would you like the tasks that comprise the workflow to execute? How many nodes do you have to execute them ? What task durations give good performance on different executors? [*] We assume that each node has 32 workers. If there are fewer workers launched per node, a higher number of nodes could be supported. [†] 8000 nodes with 32 workers each totalling 256000 workers is the maximum scale that we’ve tested the ExtremeScaleExecutor at. IPyParallelExecutor will be deprecated as of Parsl v0.8.0, with HighThroughputExecutor as the recommended replacement. If you are running on a cluster or supercomputer, will you request multiple nodes per block ? Note that in this case a block is equivalent to a batch job. Where will you run the main parsl process vs the tasks? The following snippet shows an example configuration for executing remotely on San Diego Supercomputer Center’s Comet supercomputer. The example uses an SSHChannel to connect remotely to Comet, the SlurmProvider to interface with the Slurm scheduler used by Comet and the SrunLauncher to launch workers. The following snippet shows an example configuration for accessing NERSC’s Cori supercomputer. This example uses the IPythonParallel executor and connects to Cori’s Slurm scheduler. It uses a remote SSH channel that allows the IPythonParallel controller to be hosted on the script’s submission machine (e.g., a PC). It is configured to request 2 nodes configured with 1 TaskBlock per node. Finally it includes override information to request a particular node type (Haswell) and to configure a specific Python environment on the worker nodes using Anaconda. The following snippet shows an example configuration for accessing TACC’s Stampede2 supercomputer. This example uses theHighThroughput executor and connects to Stampede2’s Slurm scheduler. 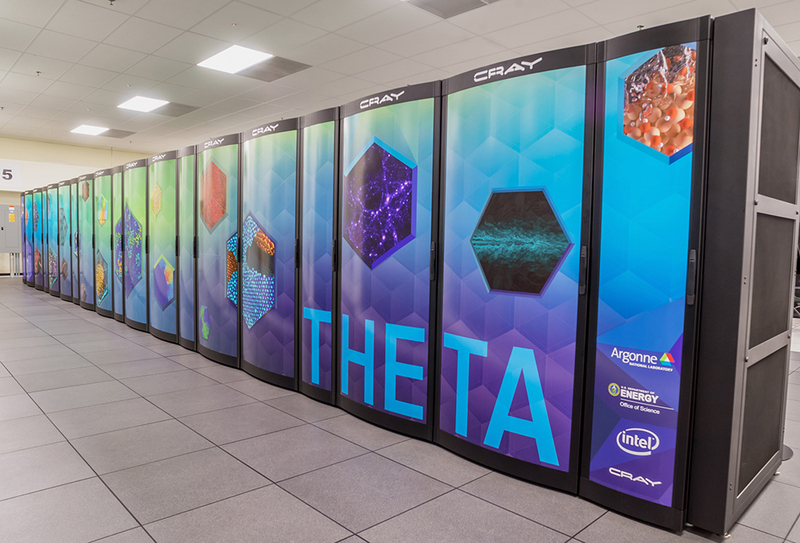 The following snippet shows an example configuration for executing on Argonne Leadership Computing Facility’s Theta supercomputer. This example uses the IPyParallelExecutor and connects to Theta’s Cobalt scheduler using the CobaltProvider. This configuration assumes that the script is being executed on the login nodes of Theta. The following snippet shows an example configuration for executing remotely on Argonne Leadership Computing Facility’s Cooley analysis and visualization system. The example uses an SSHInteractiveLoginChannel to connect remotely to Cooley using ALCF’s 2FA token. The configuration uses the CobaltProvider to interface with Cooley’s scheduler. The snippet below shows an example configuration for executing from a login node on IN2P3’s Computing Centre. The configuration uses the LocalProvider to run on a login node primarily to avoid GSISSH, which Parsl does not support yet. This system uses Grid Engine which Parsl interfaces with using the GridEngineProvider. | |    Task    | |             . . . This Midway cluster is a campus cluster hosted by the Research Computing Center at the University of Chicago. The snippet below shows an example configuration for executing remotely on Midway. The configuration uses the SSHChannel to connect remotely to Midway, uses the SlurmProvider to interface with the scheduler, and uses the SrunLauncher to launch workers. The Open Science Grid (OSG) is a national, distributed computing Grid spanning over 100 individual sites to provide tens of thousands of CPU cores. The snippet below shows an example configuration for executing remotely on OSG. The configuration uses the SSHChannel to connect remotely to OSG, uses the CondorProvider to interface with the scheduler. Any collection of compute nodes without a scheduler setup for task scheduling can be considered an ad-hoc cluster. Often these machines have a shared-filesystem such as NFS or Lustre. In order to use these resources with Parsl, they need to set-up for password-less SSH access. In order to use these ssh-accessible collection of nodes as an ad-hoc cluster, we create an executor for each node, using the LocalProvider with SSHChannel to identify the node by hostname. Here’s an example configuration using the 2 login nodes from the Midway cluster as a proxy for an ad-hoc cluster.